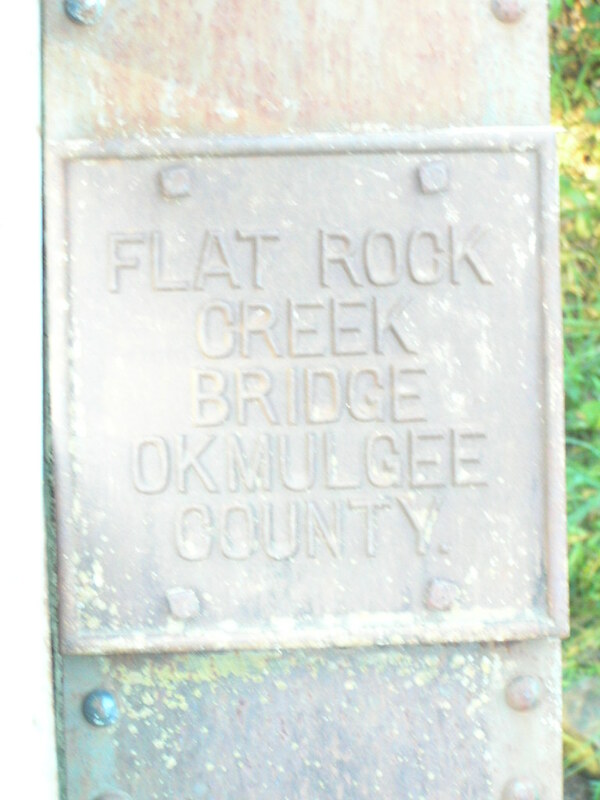 Old US 75 Flat Rock Creek Bridge, Okmulgee Co. 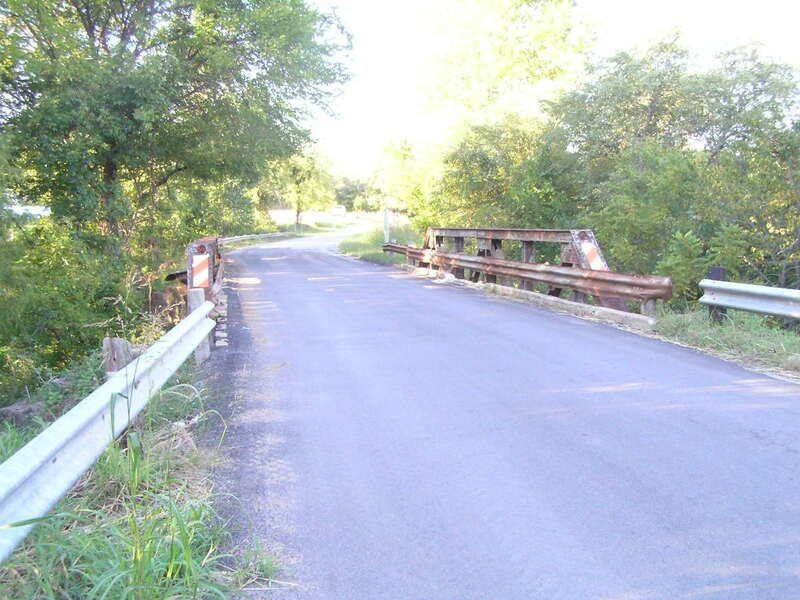 Built in 1921, this 60-foot Warren pony truss is located north of Okmulgee on an old alignment of US 75. Above, a general view of the bridge. Below, plaque mounted on endposts. 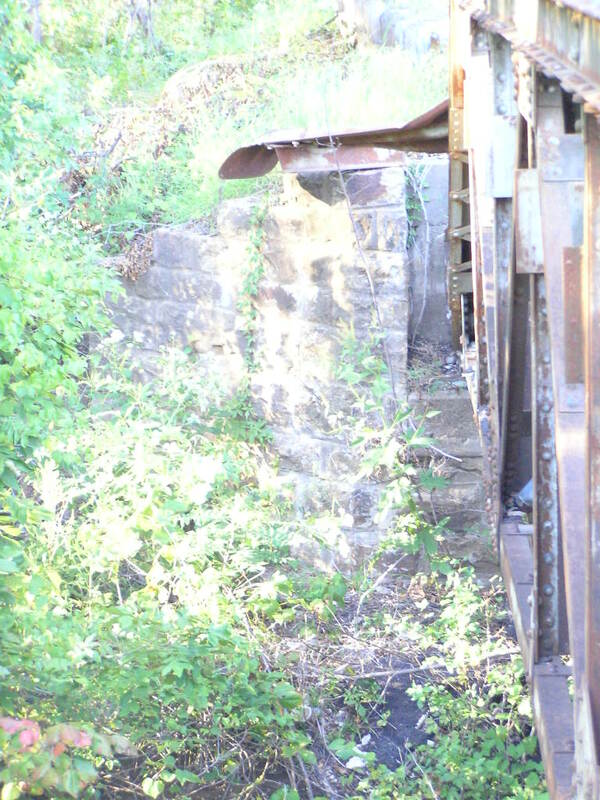 Below, stone foundations that support the span. 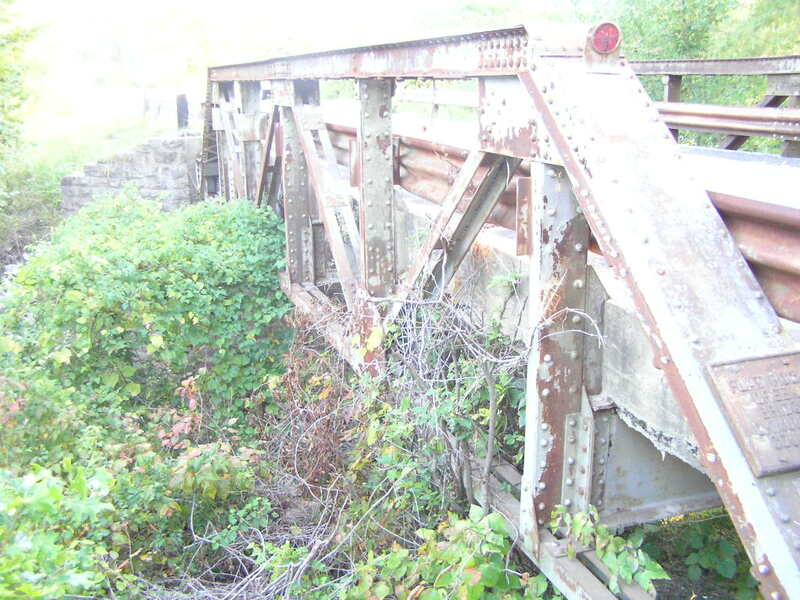 Above, side view of bridge. The concrete deck of the bridge is thick enough that no stringers are used between floor beams.